When I first attempted to retouch the photographs I took in 2006, I had no idea what I needed to do and how. 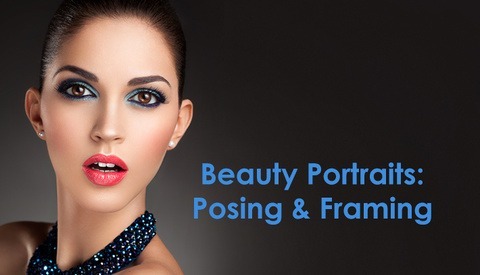 Today there are thousands of video tutorials on the web on how to retouch, but nobody explains what it is that needs to be retouched to make a female face look more youthful, healthy and beautiful. It took me some time to figure out what the common problems that I needed to remove from my subjects' faces and bodies were, and what I had to alter to make them look more attractive. I intuitively targeted specific areas and imperfections when retouching faces, and I must have done it well, because, even despite the lack of technical knowledge back then, I managed to make all my clients and models happy with my manipulations. My photography and retouching preferences and taste have changed a million times since then, as I kept improving my technical skills, but the problems and imperfections that I was attacking in almost every single image stayed the same. I had never been taught by anyone, and I had not taken any human anatomy classes for artists before I started retouching. But as any teenage girl I was in love with glossy fashion and beauty magazines and I managed to collect big piles of various titles over the years. When my parents suggested I start getting rid of old issues, I went through them and torn out the pages with photographs I liked. I carefully cut the photos out and glued them into a large notebook. That was the beginning of my Visual Journal that may have caused the big changes in my life a decade and a half later. I continued collecting magazine covers, photographs, illustrations and even business and post cards if they contained inspiring visuals. It almost turned into an obsession - I would pull out pages in magazines while waiting for my hairdresser appointment in a salon... and anywhere else if I had a chance. After a few years I ran out of room in that notebook, but I still keep it - it is at my parents' home in Moscow, and I re-visit it every time I travel there to see my family. I spent so much time looking at those pages over the years that I remember what pictures are neighboring on some of them. Little did I know by studying all those faces of difference shapes, ages and races, I effectively trained my eye in human anatomy, and learned to appreciate and understand the beauty of a female face and body. I studied Economics and spent almost 10 years in the financial industry working my way up... and then one day I quit everything and went to study photography in Australia. I am now a full-time Beauty photographer and retoucher, and that Visual Journal might have been be the reason. When I started teaching retouching I realized that even after I explained how specific tools and techniques worked, most of my students would not know what they should use them for to make a female face more attractive in post-production. And since I had been always relying purely on what I thought looked good when retouching, I did not know how to explain my tactics to my students. When I started working on my new retouching video training "From Amateur to Pro in a Week", I decided that I had to do my research and find out why the retouching decisions that I had been making always worked and pleased my clients. I have put together this video in an attempt to explain what it is that makes female faces look less attractive, so that we know what it is that we need to be looking for to minimize or eliminate when retouching a female portrait or a beauty image and make those faces look fresh, youthful and beautiful. Please remember I am not a biology specialist or beautician, I am only a female beauty photographer and retoucher. I think I have found some answers and I am happy to share them with you. Hopefully, you will learn something new and exciting from my explanation too. 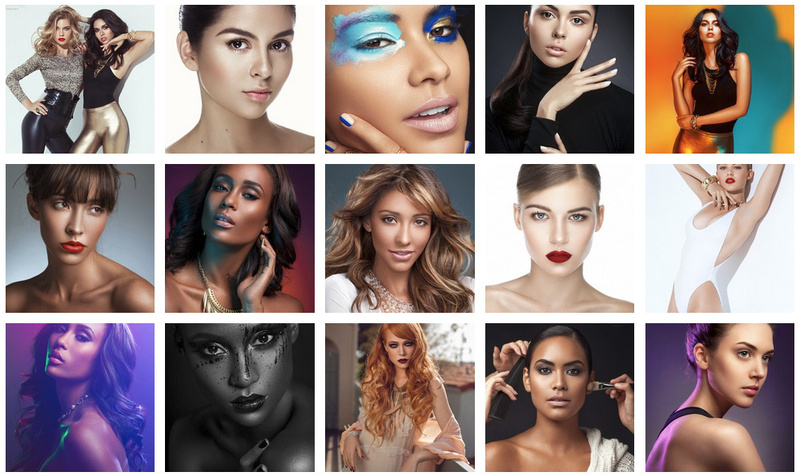 If you would like to learn more about Beauty Photogrpahy and Retouching with me, join me and our big Fstoppers family at the Fstoppers Workshops in May 2015. You can see more of my work on my website: www.juliakuzmenko.com and follow my Facebook page and Instagram for updates and new images. Doesn't it seem that almost every article anymore is just an ad to a workshop or a training video? The video in the article is FREE. Maybe you missed it? It's right near the bottom of the article. 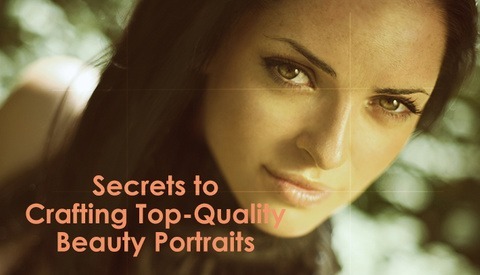 It's 20 minutes of video with valuable information from a top-notch photographer and retoucher. You're failing to take away valuable information if that's the only comment you have about this article. Doesn't it seem that every article has someone with nothing better to say than to make an ignorant comment about it? It was a question not a comment, I had no intentions of taking away anything form anyone, sorry that I didn't post ooooohhhhhh awwwwww! Great video and I've been fascinated with this concept of "what makes people look old" for a long time. You're the first person I've ever seen really break it down from a retouching standpoint. When I was trying to learn this myself I was taking magazine photos of celebrities(usually touched up) and comparing them to their paparazzi shots. My only minor constructive criticism was that the video moved a little slow..but then again I live in NYC so I'm used to folks talking very fast. Yeah, it's easy for anyone to say, "well this person here looks better than the same person there" and you don't even have to be a photographer/mua/retoucher to do that. However, learning how to get from A to B takes a lot of studying minor details/changes, sorting out what is aging vs simple lighting/environmental differences, etc. Once you figured that out THEN you have to figure out "how do I replicate that with the digital tools in PS??". I think you have it nailed though as your work and retouching is spectacular. Your videos/articles have been very helpful. Thanks again. How can I contact you on a professional matter? I tried through the email in your sites with no success. thank you for this Julia, people really need to back off with their opinions on retouching, especially when they don't create content. I found the video very useful. And I thought adipose was a marshmellow shaped being on Doctor Who! Another GREAT article. First and foremost please hear me when I say; "Thank You For Keeping It Real". You just lay it out there, and I love it!!!!!! nonsense,just say it straight this is only a ad.